Work for the nation’s leader in nuclear energy and an innovator in advanced nuclear technologies. Southern Company operates six units in Al. and Ga. For more than 40 years, Southern Nuclear has operated its nuclear facilities at the highest levels of reliability. • The Joseph M. Farley Nuclear Plant near Dothan, Ala.
• The Edwin I. Hatch Nuclear Plant near Baxley, Ga.
• The Alvin W. Vogtle Electric Generating Plant near Waynesboro, Ga. 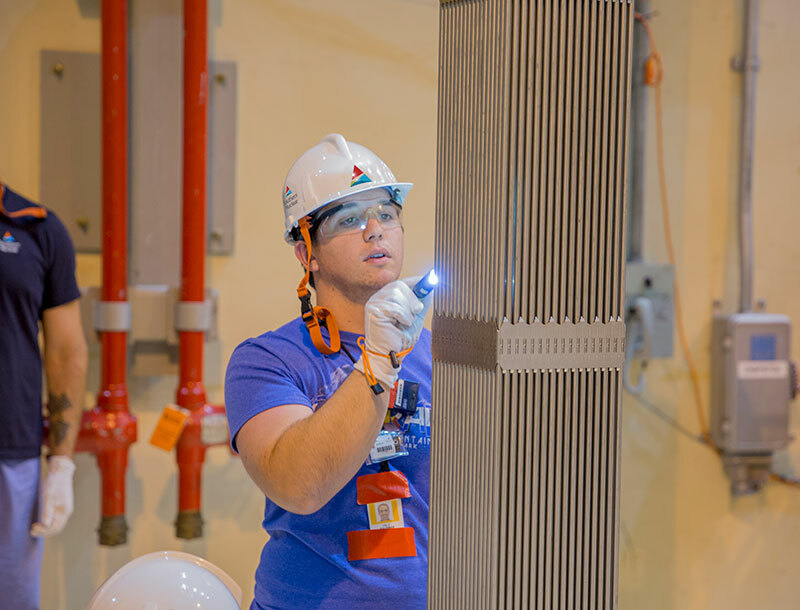 When it comes to compensation and benefits, our philosophy is simple: Southern Nuclear Company offers you competitive pay and benefits from the day you start work until the day you retire – and beyond. Southern Company (NYSE: SO) is America’s premier energy company, with 44,000 megawatts of generating capacity and 1,500 billion cubic feet of combined natural gas consumption and throughput volume serving 9 million electric and gas utility customers through its subsidiaries. The company provides clean, safe, reliable and affordable energy through electric utilities in four states, natural gas distribution utilities in seven states, a competitive generation company serving wholesale customers across America and a national recognized provider of customized energy solutions, as well as fiber optics and wireless communications. Southern Company brands are known for excellent customer service, high reliability and affordable prices that are below the national average. Through an industry-leading commitment to innovation, Southern Company and its subsidiaries are inventing America’s energy future by developing the full portfolio of energy resources, including carbon-free nuclear, 21st century coal, natural gas, renewables and energy efficiency, and creating new products and services for the benefit of customers. Southern Company has been named by the U.S. Department of Defense and G.I. Jobs magazine as a top military employer, recognized among the Top 50 Companies for Diversity by DiversityInc, listed by Black Enterprise magazine as one of the 40 Best Companies for Diversity and designated a Top Employer for Hispanics by Hispanic Network. The company has earned a National Award of Nuclear Science and History from the National Atomic Museum Foundation for its leadership and commitment to nuclear development and is continually ranked among the top utilities in Fortune’s annual World's Most Admired Electric and Gas Utility rankings. Visit our website at www.southerncompany.com.